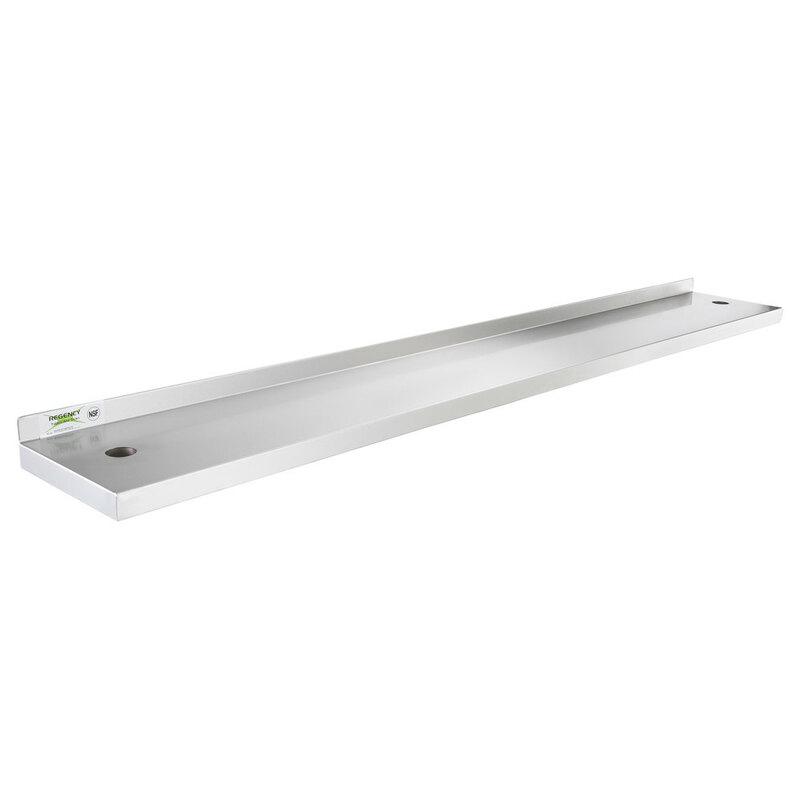 This Regency 10" x 72" stainless steel plate shelf is an excellent way to increase the versatility of your 72" equipment stand! 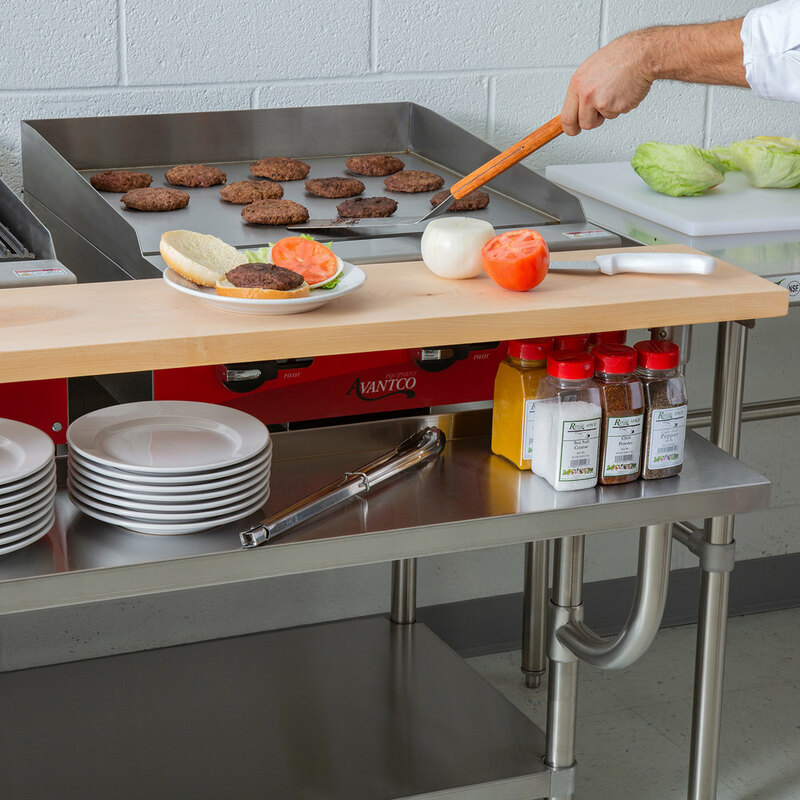 When mounted onto the supports of a 10" x 72" equipment stand cutting board or work surface, this shelf provides extra storage space for plates, utensils, and other commonly used items that you want to keep close to your work area. 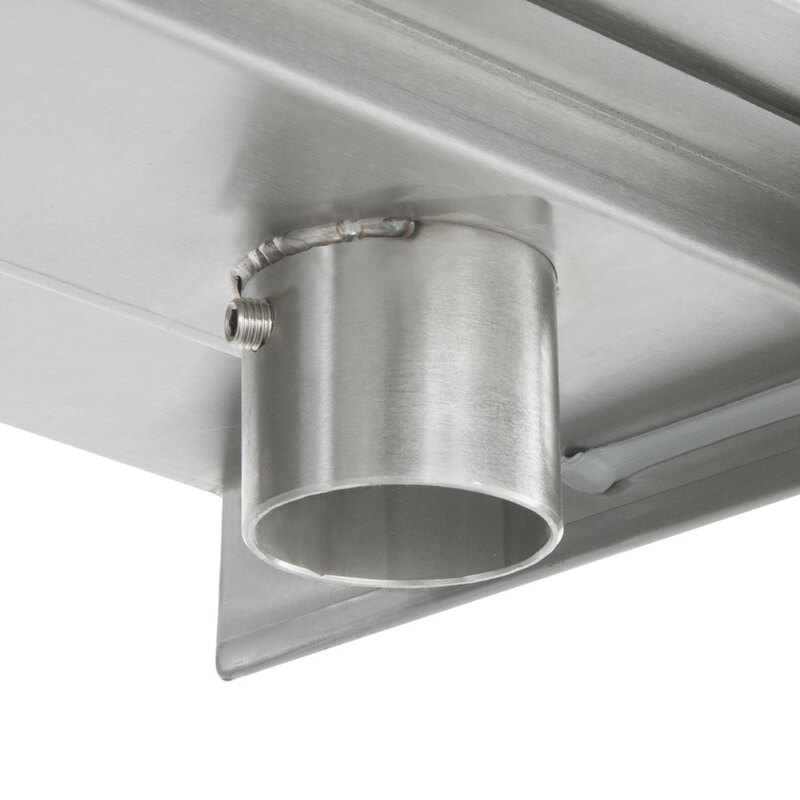 It is made from stainless steel to provide durability in fast-paced kitchens, and has a backsplash to keep items from falling off of the shelf.